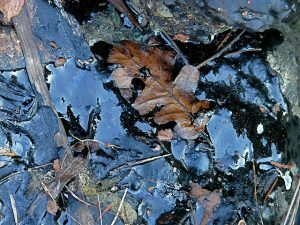 Oil spills can prove to be extremely harmful to plant, animal and human life. An oil spill happens when liquid petroleum is released into the environment by vehicle, vessel or pipeline. It can happen on a large scale and is mostly seen in bodies of water. Most of the time, oil spills are caused by human negligence and is a major form of pollution. Even though public knowledge of oil spills have grown in the last three decades, they have been happening for many years. Large-scale problems that follow oil spills and their effects are more obvious to us now than before. Here are some harmful effects of oil spills and its effects on the environment. When it comes to oil spills, there is an immediate effect on the environment. Th animal life that lives in the water near the shore are the ones that are most affected. Oil spills may lead to animals choking on the poisoned water supply. The oil that seeps into the animal’s water supply can cause long-lasting effects on their quality of life. Oil can work its way into the fur and plumage of the animals. When valuable crude oil or refined petroleum is lost, it affects the amount of petroleum and gas available for use. This translates to more barrels have to be imported from other countries. There is also the matter of cleaning up the oil spill, which requires a lot of financing too. Local businesses are also affected by oil spills. In most cases, areas that are affected by heavy oil spill also suffer in the tourism industry. Visitors tend to stay away from areas that are affected by oil spills. If the oil spill contaminates large bodies of water nearby, any and all water activities and attractions are shut down until the water is properly treated and cleaned. Contact us today to help with any oil spills in your area!